When I was in college, I used to love to make sugar cookies. You know, the ones you could decorate with all of the fun frostings. I used my Grandma's sugar cookie recipe, which was amazing, topped off with buttercream in all sorts of shades of eye popping colors. Now gone are the days of me making refined sugar and bleached flour cookies with artificial dye frostings (I know, it sounds so appetizing when I put it that way, but just being honest). But I am not missing those cookies, because I have made new recipes for sugar cookies that are just as delicious, including the one I am sharing with you today. These date sweetened babies are even better than my Grandma's recipe (sorry Grandma, still love you, and you gave me a passion for creating delicious food which I appreciate). Can I even call them sugar cookies if there is no sugar? Well too bad I am going to because they taste like it. The dough is freaking awesome, and being a cookie dough girl, I could eat it just in gobs right out of the food processor. But that is not nearly as pretty as shaping it into cookies. 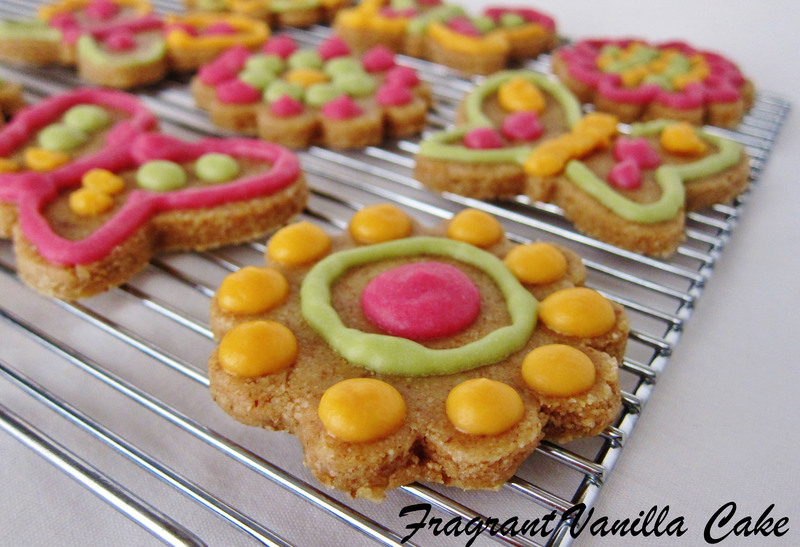 So once the cookies were cut into pretty Spring shapes (I wanted an excuse to use my flower and butterfly cookie cutters), I topped them off with colorful coconut frosting. No artificial colors here, just beet juice, spinach juice and carrot juice which make lovely colors! Don't worry, you can't taste the veggies, just the sweet coconutty goodness. It was perfect with the sugar cookies! Vanilla all the way though, just how I like them, and my Grandma would have been proud. 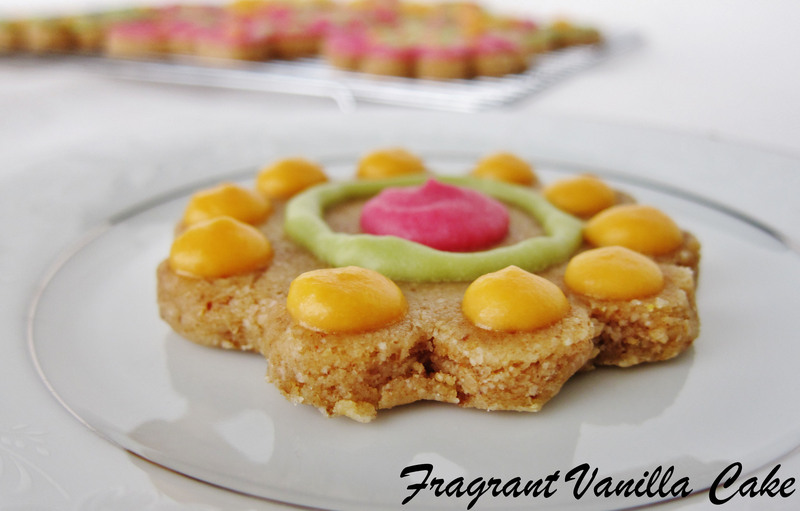 If you are a fan of sugar cookies, but not the refined sugar, these are meant for you! In a high speed blender, buzz the coconut to fine flour (but not too long or you will get butter). Add to a food processor with the oat flour, flax seed, dates, sea salt, and process until well combined. Add the vanilla, coconut butter, and process until smooth and dough like (if it seems too dry add a little more water 1 tsp at a time). Roll out the dough on a sheet of parchment paper 1/4 inch thick, and cut out with medium sized spring cookie cutters (if it is too warm, pop it in the freezer for a few minutes to make it easier to work with). Once the cookies are all cut out, place them in the freezer to chill for about 30 minutes. 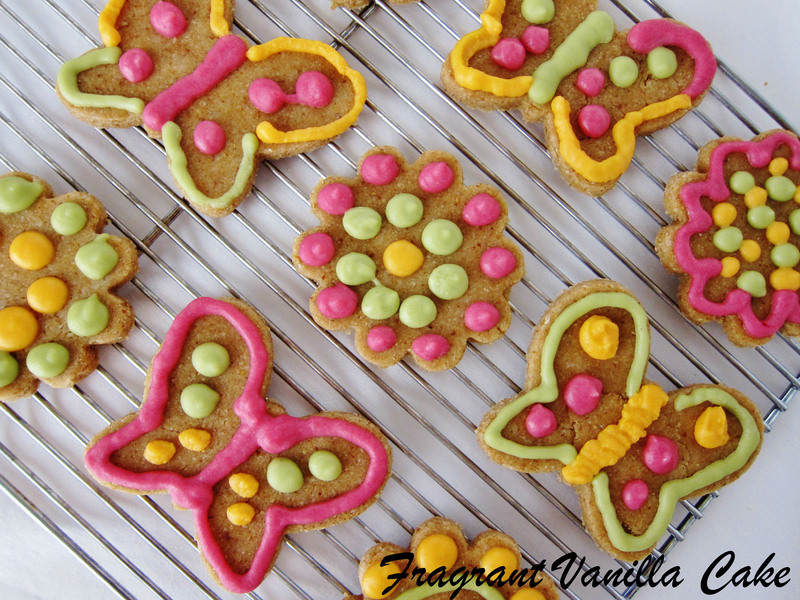 To make the vanilla frosting, whisk together all ingredients until smooth, adding a little filtered water as needed (it may seem clumpy at first, but it will smooth out, you want it to be the consistency to pipe over the cookies, so not too runny, not too thick). You can tint the frosting with the beet juice, carrot juice and spinach juice. I divided mine into 3 bowls, and added the color. To decorate, place the frostings in small pastry bags, or ziplock bags with the corner cut off and pipe decoratively over the cookies. Let the frosting set (it will happen faster if you pop them in the freezer for about 5 minutes). 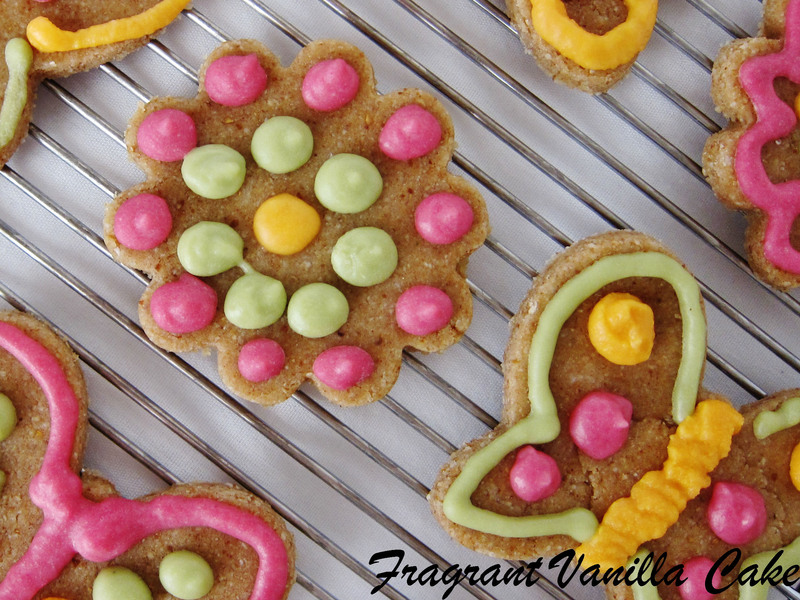 Store leftover cookies in a sealed container in the refrigerator. *Note, if you want these to be drier cookies, you can dehydrate them for 2-3 hours at 115F instead of chilling them.